The main page Kait Schoeb, Pittsburgh based fine artist. Kait is available for commissioned works and also has unique prints for sale. 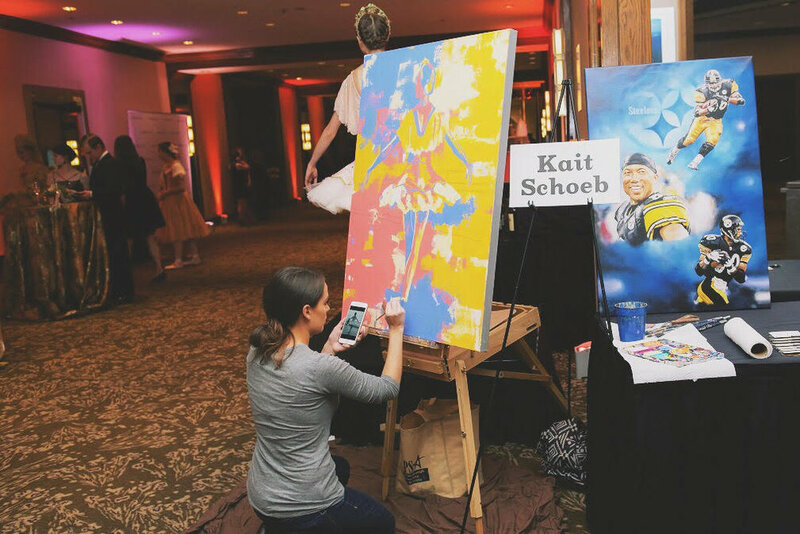 For the second year in a row, Kait was given the opportunity to live paint for the Pittsburgh Ballet Theatre's annual fundraising gala! Days before the gala, Kait met with her ballerina model to discuss poses and costumes the dancer would be using at the event to help Kait get a jump start on her painting. Kait used the lavender door to the ballet studio as inspiration for the painting's color scheme. 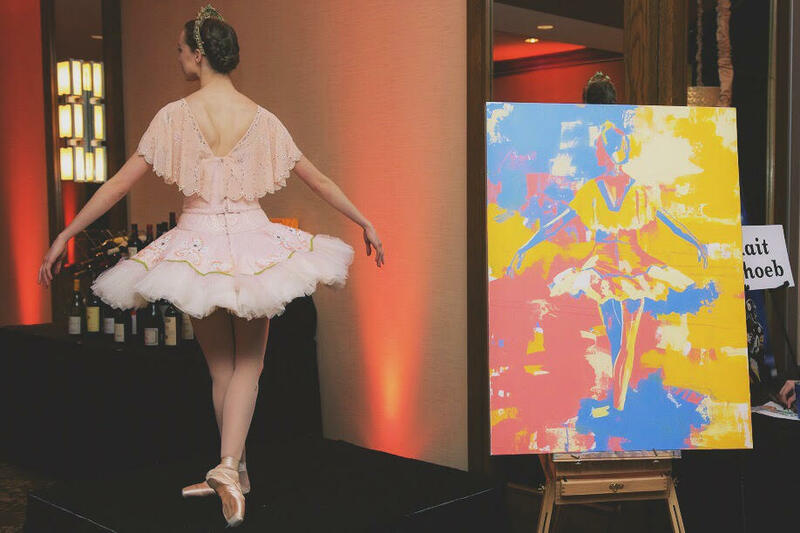 The painting went to auction at the end of the event with proceeds going to raise scholarship funds for the PBT. In total, the entire gala was able to raise more than $553,000 for the organization! The official page of Pittsburgh and Seattle based fine artist, Kait Schoeb. Kait is the owner of Paints by Kait, LLC. She is available for commission pieces, portraits and inquires for live painting events, and non profit charity events. She primarily works in oil on canvas and acrylic paints. Kait also sells originals as well as prints of her paintings through her website. Contact Kait at info@paintsbykait.com for pricing and information on commissioning her for a piece or portrait.